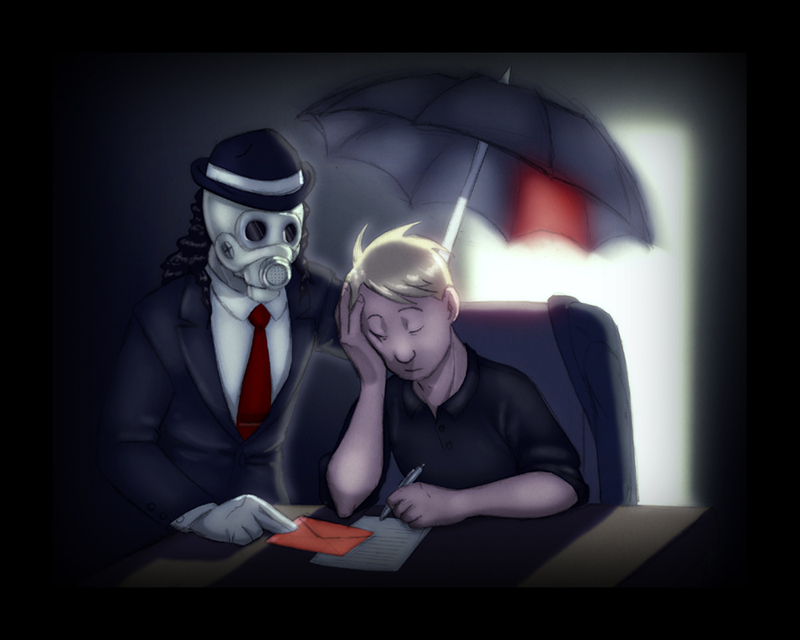 He requested a picture of his character Umbrella Man delivering a letter to a sleeping Niels. The umbrella is supposed to look fuzzy, like it's not quite right. In fact, I tried to give the whole thing a slightly dreamy feeling, as if Niels is somewhat aware that someone else is there, but at the moment he think he's just dreaming. I like how the gasmask ended up almost looking like a cranium.